To preserve radiology rounds in the changing health care environment, we have introduced virtual radiology rounds, an initiative enabling clinicians to remotely review imaging studies with the radiologist. We describe our initial experience with virtual radiology rounds and referring provider impressions. Virtual radiology rounds, a web-based conference, use remote sharing of radiology workstations. Participants discuss imaging studies by speakerphone. Virtual radiology rounds were piloted with the Neonatal Intensive Care Unit (NICU) and the Congenital Cardiovascular Care Unit (CCVCU). Providers completed a survey assessing the perceived impact and overall value of virtual radiology rounds on patient care using a 10-point scale. Pediatric radiologists participating in virtual radiology rounds completed a survey assessing technical, educational and clinical aspects of this methodology. Sixteen providers responded to the survey; 9 NICU and 7 CCVCU staff (physicians, nurse practitioners and fellows). Virtual radiology rounds occurred 4–5 sessions/week with an average of 6.4 studies. Clinicians rated confidence in their own image interpretation with a 7.4 average rating for NICU and 7.5 average rating for CCVCU. Clinicians unanimously rated virtual radiology rounds as adding value. NICU staff preferred virtual radiology rounds to traditional rounds and CCVCU staff supported their new participation in virtual radiology rounds. 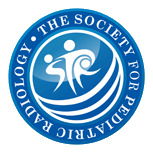 Four of the five pediatric radiologists participating in virtual radiology rounds responded to the survey reporting virtual radiology rounds to be easy to facilitate (average rating: 9.3), to moderately impact interpretation of imaging studies (average rating: 6), and to provide substantial educational value for radiologists (average rating: 8.3). 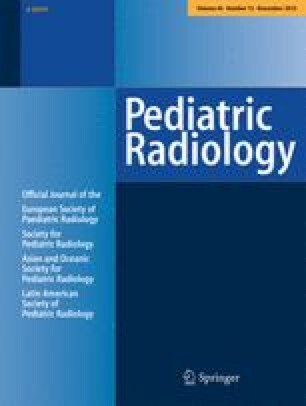 All pediatric radiologists felt strongly that virtual radiology rounds enable increased integration of the radiologist into the clinical care team (average rating: 8.8). Virtual radiology rounds are a viable alternative to radiology rounds enabling improved patient care and education of providers.